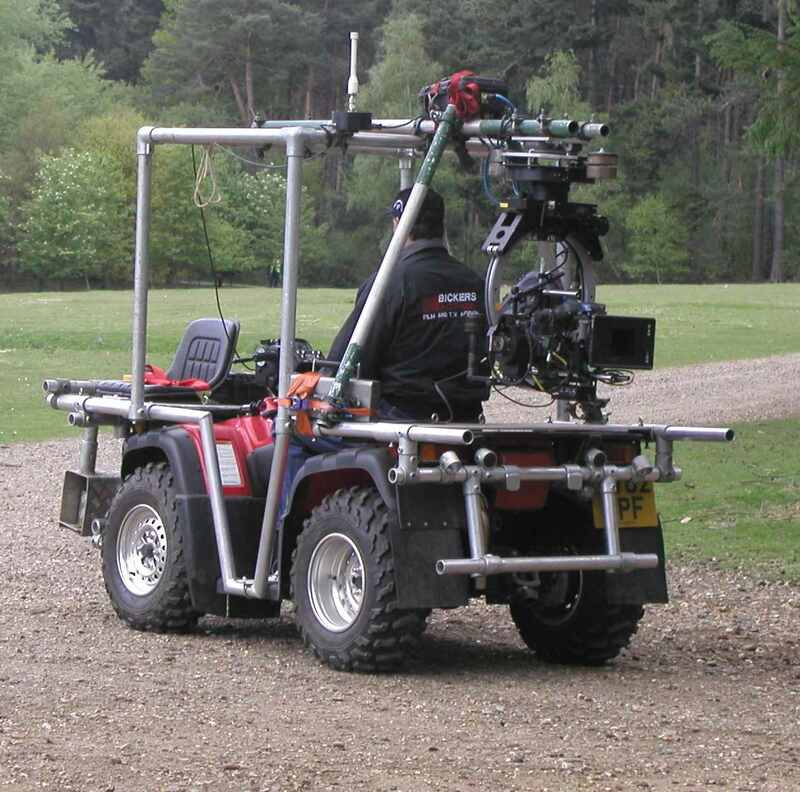 The Quad Elite Automatic Tracking Vehicles can cope with any terrain and are often used with a steady cam system. The key feature is our Hydro Static drive automatic transmission, which allows 100% smooth acceleration with no distorting gear changes like many other Quad Tracking Vehicles. 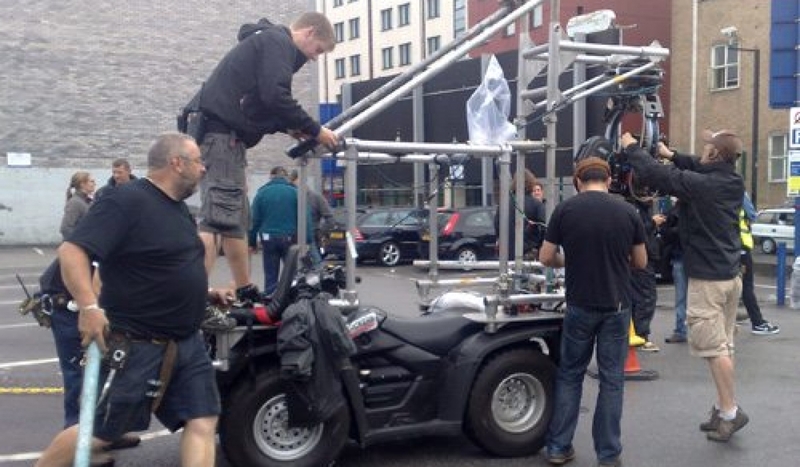 They can be used as a Motorised Dolly and has variable camera fixings front and rear or the Camera can be hand held. 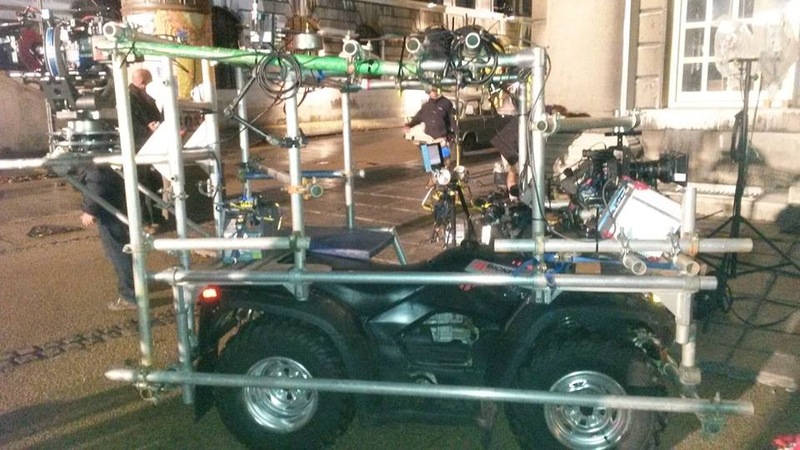 They have Camera operator seats, which can be front or rear mounted and are also fitted with scaffold for easy rigging and dual-purpose Safety Roll Cage. These are not a conventional on road tracking vehicle, but they are road registered and specific police permission must be granted for use on the public highway.